Anyone who’s familiar with Games Workshop and their tiny intricate character pieces and story-rich lore is no stranger to the various tabletop and video game spin-offs that pit enemy armies against each other towards a greater goal. As an avid fan and collector of Warhammer fantasy myself, I’d always been intrigued by the idea of getting into Warhammer 40K. It wasn’t until recently I had finally obtained the board game Space Hulk where I found myself wanting to delve deeper into the world of 40K without spending even more money investing in a whole new army altogether. With the release of Space Hulk: Tactics, I was able to do just this and experience the battle between the heroic Space Marines, Terminators of the Blood Angel squad, and the terrifying alien Tyranids, the Genestealers. I was incredibly excited to jump right into it to see just how a video game version could compare to the tabletop game. The Space Hulk, a congregation of derelict shattered vessels and ships, has appeared from a Warp Storm and is on a one-way course to colliding with the planet. Only one squad of Space Marines remains and it’s up to you to scour the halls of the seemingly empty ship and destroy it from within. The task won’t be as simple as it sounds as it is infested with the terrifying Genestealers just as ready to claw through anything that gets in their way. 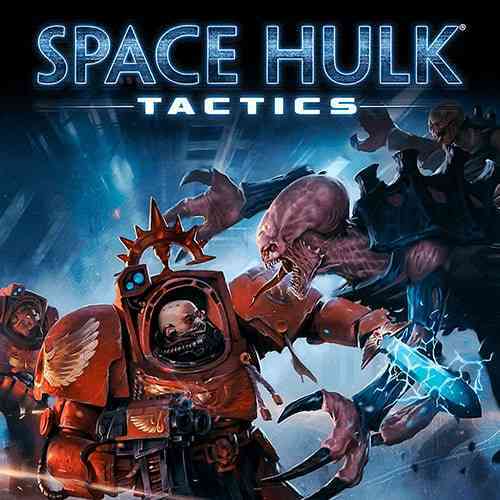 Space Hulk: Tactics features two large campaigns where players get to choose to play as either the Blood Angels chapter of Space Marines or the menacing Genestealers. 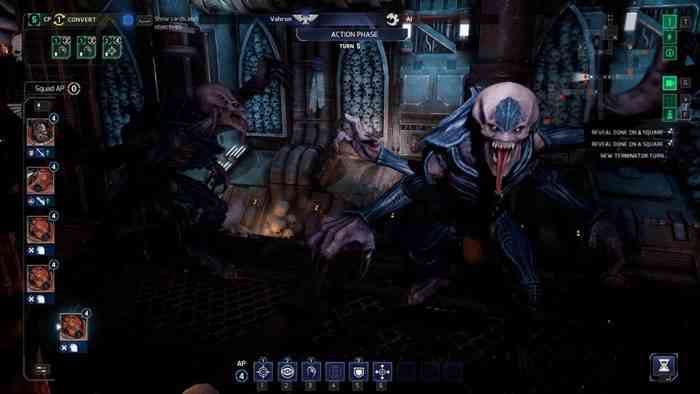 In both campaigns, players will have to explore the tight confines of the Space Hulk, working their way through until they have accomplished their missions, within the given time for completion. Tactics also feature a unique story for each campaign, different mechanics and most importantly — a different way to play. Once your campaign has begun, players will find themselves in the Hulk that is divided into a grid and each character will have a certain amount of points that can be used towards moving, interacting with the items and the environment, attacking or defending. Playing as the Space Marines, you will take control of the heavily armed five-man team. The Terminator squadron will have to move carefully and with purpose, as they only have 4 AP, action points, at the beginning of each round. However due to the bulky size and the tight confines of the ship, even turning on the spot will cost you a single point. On the opposite side of the map, the Genestealers are fast and can easily overwhelm your units with their rapid movements, strong melee attacks and a whopping 6 action points at the beginning of their turn. These menacing foes will initially appear on the map as “blips”, radar signatures that can contain between zero to three melee-focused units. This means that players will really need to ensure that they have the best-laid-out plans less they be undone by the onslaught of the Genestealers. Thankfully, if you do find yourself in a tight bind, there is a card system in place that allows you to amplify a single unit during their next turn. The cards can also be consumed to grant players extra action points as well. You can unlock and upgrade new cards, as well as armour and weapons, by collecting resources as you venture through the Space Hulk. While in the pre-match lobby, you can select and upgrade your squad to ensure that they are at peak fighting condition. Much like the board game, Tactics also features a randomized dice rolling component that displays on the right-hand side of the screen for every interaction. When a unit uses a card to enhance an ability, the dice roll will be determined once again and recalculates the success rate of the outcome. I’m not terribly sure if this feature is needed, or really makes that much of a difference in the results, but it’s certainly a great nod to the tabletop game. Along with the campaign modes, there are also skirmishes and an online section where you can take on players from around the globe as well as a very cool mission editor tool. With the ability to upload your missions to the servers and being able to try out other players’ maps, there are absolutely no shortages of things to do. 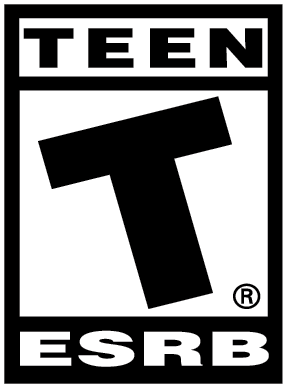 Not to mention the multiplayer portion is surprisingly robust and allows players to choose one of four Tyranid factions as well as the four chapters of Space Marines (Dark Angels, Blood Angels, Ultramarines and Space Wolves) and allows customization of pretty much every piece of armour, trinket and emblems. You can even determine how much battle damage and dirt you want for your Space Marine. Unfortunately, the online presence is pretty weak and I wasn’t even able to get a match in before giving up and going back to the main campaign. Another interesting feature is the ability to play in first person mode. This mode, once activated, will take you through the Space Hulk through the eyes of your player character and really shows the incredible detail that went into the level design of this broken down ship. Unfortunately, the controls in first person mode are kind of janky and it was much too easy to mess up and waste points just by trying to turn around. It’s a cool idea but I feel like it needs some work but if players are wanting a scarier and intense gaming experience, I recommend trying it out for a round or two. 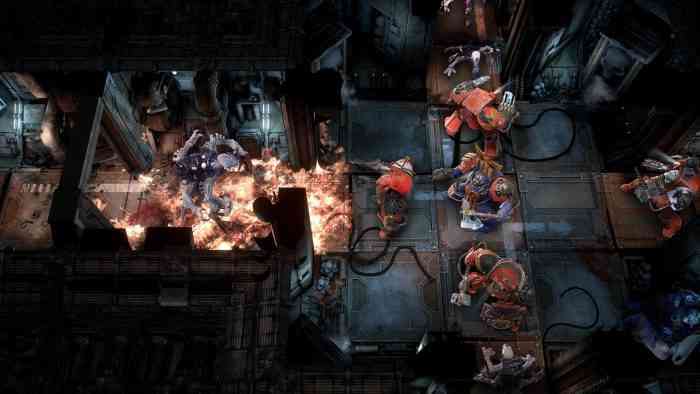 Unfortunately, due to the enclosed corridors of the Space Hulk, players will often find themselves advancing in a single file line, literally needing to turtle their way to their objective. I found myself often playing it safe due to this and would only move one or two characters towards the objective while covering any hallways with overwatch mode on. However, with the Overwatch command activated, the Genestealer AI wouldn’t dare cross it and would usually wait until the command was inactive and rarely did they ever turn to take an alternate way to get to you. I feel like fans of tile-based tactical games and fans of Warhammer 40K will enjoy this entry into the series. With visually appealing designs, Cyanide Studios did a wonderful job with bringing the dark atmosphere of the Blood Angels vs Genestealers to life. Topped up with fairly decent voice work, a solid game design, good writing and a plethora of things to do, Space Hulk: Tactics has got a lot of things right. With working out a few kinks, and hopefully a more active online presence, you’ll certainly be getting your monies worth for this title.